Carter Center - Develops and implements programs around the world to prevent or resolve conflicts, strengthen human rights, and foster democracy and improve health. Center for Democracy and Election Management - Education, training, policy development, and scholarly research on topics relating to democracy and elections. The Center is integrated with the research and training facilities of American University's School of International Service and School of Public Affairs. CNN/IFES Election Watch - IFES is in partnership with CNN-Interactive to produce CNN/IFES ElectionWatch. Each ElectionWatch spot provides up-to-date information on the country's government structure, electoral system, the main parties and/or candidates standing for election, results of previous elections, and other items of interest about the current political/electoral environment. IFES aims to produce an ElectionWatch spot for every national-level election (presidential, parliamentary, legislative). Election Notes - Daily international news of elections, elections calendar, election returns, election results, election administration, campaign finance, and electoral politics. A news service of Klipsan Press, publishers of reference works on electoral history and politics. Election Results Archive - A collection of electronic files containing data on election results from around the world. This online database provides researchers, policy-makers, scholars, and others interested in elections with information on over 900 elections from around the world. Election Systems and Software (ES&S) - Provider of election management solutions. ES&S has handled more than 30,000 elections worldwide in the past 10 years. In the U.S. 2000 General Election, ES&S systems counted over 100 million ballots. Headquartered in Omaha, Nebraska, the company has a customer base of over 2,100 jurisdictions in 46 states, Canada, and several international locations. Based on the primary voting tabulation system installed within the United States, its customers represent 50 percent of the precincts and registered voters in the U.S.
ElectionGuide - Democracy assistance & elections news from the Consortium for Elections and Political Process Strengthening (CEPPS). Elections Around the World (Electionworld.org) - Database on elections, parties and parliaments. Elections Canada - Electoral infromation for Canadians. Electoral Commission (UK) - Set up by Parliament in November 2000. Aims to increase public confidence in the democratic process within the United Kingdom, and encourage people to take part, by modernising the electoral process, promoting public awareness of electoral matters, and regulating political parties. Electoral Institute of Southern Africa (EISA) - Supports sustainable democracy throughout southern Africa by promoting free and fair elections and popular appreciation of democratic practices and principles. 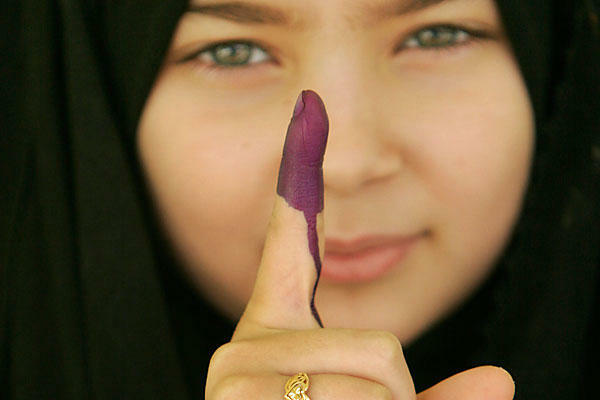 Electoral Integrity Project - Focuses upon three main questions: 1) When do elections meet international standards of electoral integrity? ; 2) What happens when elections fail to do so? ; 3) And what can be done to mitigate these problems? Also see Links page. European Network of Election Monitoring Organizations (ENEMO) - Election monitoring. European Union Election Observation Missions - The EU is a leading global actor in providing and financing electoral assistance complementary to election observation. Governance and Social Development Resource Centre (GSDRC): Elections - Governance, social development, conflict and humanitarian knowledge services. History of the Federal Electoral Ridings Since 1867 - Provides information on the electoral history of Canada since Confederation. Includes the names of all candidates to all federal elections as well as a description of all ridings. Users can search by riding name, name of candidate, political party, general election and by-election or perform a full text search on the description of a riding. Inter-Parliamenary Union (IPU) - A focal point for world-wide parliamentary dialogue and works for peace and co-operation among peoples and for the firm establishment of representative democracy. International Association of Clerks, Recorders, Election Officials, and Treasurers (IACREOT) - Over 1,600 members, representing local, state, provincial, national, and international associations and agencies. Organization of American States (OAS) - An institution of 34 active member countries engaged in a broad set of common endeavours, ranging from strengthening regional security and supporting trade liberalization to consolidating democracy, fighting illicit drug trafficking, and promoting sustainable development. Politics and Government Around the World - Election results, constitutional documents, cabinet memberships, manifestos, political theory, journals, and more. UK Electoral Commission - UK election and voting information, including information on UK and European Parliaments, local councillors and members of the devolved Assemblies or Executives of Scotland, Wales and Northern Ireland. An independent body set up by the UK Parliament. Regulates party and election finance and set standards for well-run elections. Vote.ca Political Portal - Canadian politics, public opinion, election links, local chats with people and politicians, forum for issues debates, polical news, polls. This webpage last updated on Sunday, November 6, 2016 8:12 AM.